If you committed to a transformation or fitness resolution in 2015, this article is for you! Learn how to stay on track with 6 simple tips from Team Cellucor. Gearing up to start your very own transformation, or perhaps continuing your New Year's resolution? If so, you know you need to stock up on a few essentials: training equipment, clean foods, foundational supplements, and—perhaps most importantly—motivation. Even when you've nailed down a solid nutrition plan and searched the web for the perfect workout program, you still need a driving force to help you succeed. Deciding to buckle down and get shredded or build muscle isn't as simple as picking a goal physique, pressing hard through a few sweat sessions, downing protein shakes, and seeing instant results. Transforming is a process that can take years, and while your motivation might be sky-high at the start, that isn't typically where it stays. For most individuals, you'll see your motivation start to nosedive after as little as one or two weeks. Fortunately, there are ways to combat this. We've rounded up the best methods for staying motivated used by expert Cellucor athletes. Here is some of their best advice to apply to your own transformation! Even before you step foot into the gym for the first time, make sure that you step foot in front of a camera. "Sometimes people grimace at the mere thought of getting into a bikini or swimsuit on day one of their transformation, but I believe these are the most important pictures you'll ever take," explains fitness model Jen Jewell. "Your starting-point pictures will serve as a constant source of motivation." Jewell recommends taking pictures every 10-14 days, and then stacking them side by side with your day one pictures. This way, you'll see proof that your hard work is paying off. Uploading your photos to BodySpace can also help you visually document your fitness journey. 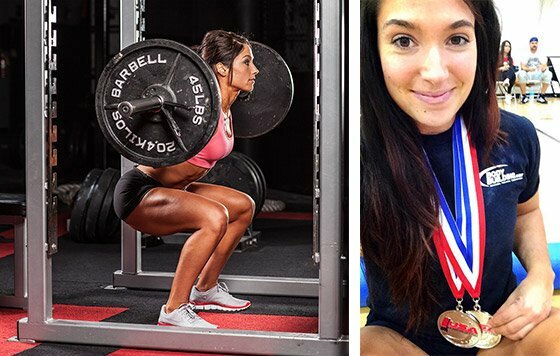 "In the past, whenever I was feeling a little low on the motivational level, I would just take a look at my day one pictures as a solid reminder of what hard work and consistency can do," Jewell says. If you hit a day when the scale doesn't budge or your training energy is particularly low, just look back at your initial photos. Even if you can't see progress from moment to moment, your photos will remind you that you're moving forward. It's important to have a long-term goal like losing 15-20 pounds, but it's equally important to set small goals along the way. If you're constantly driving toward a large goal without milestones to hit on a more short-term basis, you may lose your fire and fizzle out. Microgoals include things like dropping soda for water or tea, walking one mile every day, taking a weekly progress picture, and making other small, habit-based changes. "Start with prepping your meals as a distinct goal," recommends IFBB pro Craig Capurso. 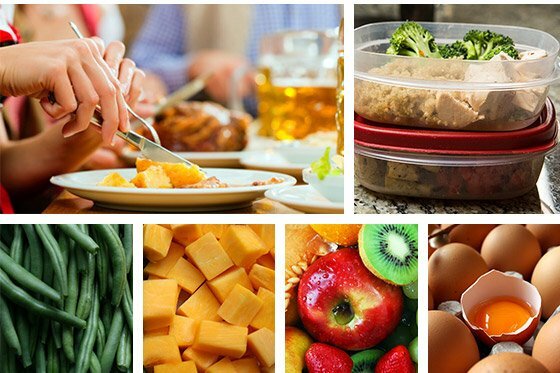 If you can hit your goal of prepping a week's worth of meals in advance—on a Sunday afternoon, for example—you'll be equipped to thwart hundreds of dietary temptations throughout your transformation. Without hitting this early microgoal, you run the risk of dropping your nutrition plan when things get tough or you find yourself reaching for a quick meal. Once you've got meal prep down—and yes, it's definitely doable on a budget—you can build additional microgoals. If you break your long-term goals down into smaller, more manageable goals like this, you'll find your overall transformation is far less daunting—and far more effective. Black or white, perfection or failure, these themes both have one thing in common—they're thought patterns that set you up for trouble. "Abandon this all-or-nothing mentality," advises Jewell. "Instead, adopt a balanced, sustainable approach to your transformation." Instead of thinking you have to eat only chicken and broccoli, and that any deviation is an absolute failure, remember that you're making lifestyle changes—sustainable, healthy habits that you'll carry on with for years. A healthy transformation is all about finding your perfect balance. Jewell explains that, when first beginning her transformation, she'd eat out in restaurants, ordering whatever she wanted every time she went. When she didn't see results, she started opting for healthier choices more frequently without resorting to complete restriction. A healthy transformation is all about finding your perfect balance. "Instead of ordering dessert every time I was out, I ordered my favorite on a special occasion," she says. If you're looking for a sweet treat to top off a great meal, opt for wine or dessert, not both. When you're making dietary changes, remember that longevity is key. What works for someone else might not be ideal for you. If you can't imagine sticking with these changes for years to come, you need to make some adjustments to your approach. "As soon as I embraced a more balanced approach, I was happier," Jewell says. "I started seeing results each week and was able to stick to my plan for once—and for all." If you're not already in the habit of tracking your workouts, start doing it today so you can set performance benchmarks. These benchmarks could include striving for a new personal best on specific lifts, resting less between sets, or lifting with more volume. Having concrete lifting goals will help you continue to push yourself, even when your enthusiasm is waning. "Your goals could be rep-related, or tied to a weight goal that you're trying to hit," says Capurso, who swears by tracking his lifts. Having concrete lifting goals will help you continue to push yourself, even when your enthusiasm is waning. Capurso also recommends calculating your total workout poundage—which the BodySpace app will do for you—and using that as a guideline for progression. Remember that progression will never be completely linear; some weeks you'll see faster progress than others, but as long as you're making positive strides, you're going in the right direction. Along with taking progress pictures, keeping tabs of your progress in a training log or transformation journal is a wise move. In this journal, you can track what you're eating, how much weight you're lifting, your body-fat percentage, how much total lean mass you've built, how much weight you've lost, and more. "The BodySpace workout tracker is the perfect tool to track your exercise and overall progression," says powerlifter Karina Baymiller. "For many, seeing these numbers is the best form of motivation. Tracking will also keep you accountable, and accountability is half the battle when it comes to seeing results." Finally, don't force yourself to do activities you dislike. "If you find yourself lacking motivation, take a step back and look at your approach to your training and diet," recommends Baymiller. "If you aren't enjoying what you do, what makes you think you'll keep it up a month or year from now?" Remember that there are many ways to go about reaching your goal body. Nothing says you have to lift with barbells. If machines and resistance bands are more your style, that's perfectly fine. Likewise, there's no law saying you must use a very low-carb diet, or a diet that restricts every single food you love. People using moderate-carb diets, or even an approach like "if it fits your macros" (IIFYM), can see excellent weight-loss results. The best diet is the one you'll stick to. What's most important is finding that perfect plan that you look forward to and enjoy. That way, sticking with your transformation won't seem like work. You'll just be doing what you love!